Hey readers, it's Cherrioz here! If you didn't know already, everyday i update the new and clearance items, keeping you up to date with all the items here in Jamaa! I update them so you know exactly when an item will be out of store & when a new one arrives! It's updated daily, once an item is gone it will be removed from the tab & when an item is no longer new it will also be removed and replaced. If you don't know where to find it, it's located to the right side of the blog, over here! 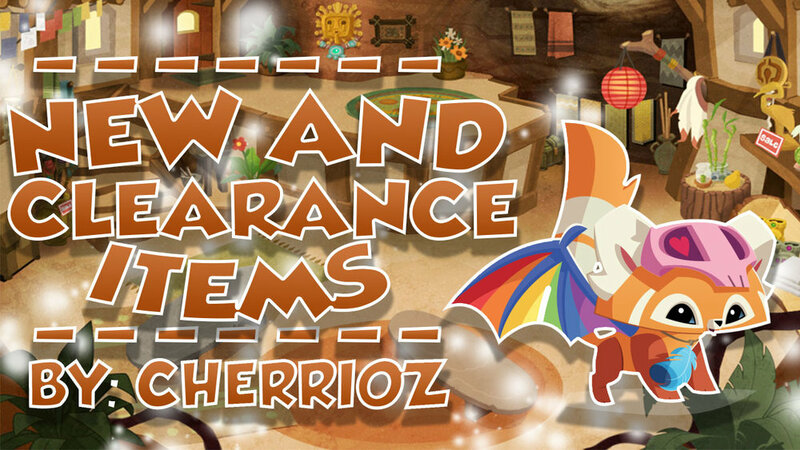 Make sure to keep your eyes open for all of the new and clearance items here in jamaa! That's all for now jammers, if you have any questions / suggestions for me, feel free to message me on Instagram or write them in the comments below!